GRAND FASHION MANIA 2015 is a FASHION, ART and ACCESSORIES event created to celebrate African fashion and arts prowess, thus showcasing largely African content. It will showcase cultural ,modern and economic importance of fashion and designing; manufacturing, marketing and merchandising. It will be a platform for numerous fashion investment and fashion business potentials as it affords designers and sponsors the opportunity of exploiting, accessing and reaching the large niche target market effortlessly in an attractive, themed and fashionable environment. 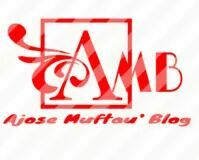 This fashion platform will be a stepping stone to Benin Republic viability as a great fashion market. The event will also contain fashion sales, open air fashion auctions, exhibition, elegant runway strutting, competitions and awards. The event would also play host to Benin Republic crème de la crème and international celebrities in the fashion, movie, arts and other businesses from Ghana, Sierra Leone, Liberia, Togo and of course Nigeria. GRAND FASHION MANIA 2015 will open substantial and potential marketing, networking and sales opportunity to all its partners and stakeholders. These year’s event is the premiere edition.. The fashion event is produced and created by WOODLAND MODELING AGENCY and is supported by so many big brands in Benin Republic and Nigeria. THE THEME: The THEME for the event “TELL A TALE” will explore designers’ inspiration, attitude and style behind their designs so as to give the audience a perception and idea behind the design creation as it hits the runway. The RUNWAY/ FASHION theme of the event “YOUTHS, TRENDS AND VOGUES” will explore designers creativity of a student fashionable attire as it becomes en vogue, trendy, fashionable and for the African youth who basically occupies the largest target market idea of all designers. EVENT PROPER: Over 1000 guest is projected to grace the fashion show and over 2000 buyers and potential investors will be around for exhibition too. The most accessible business target audience “THE YOUTHS” which forms a larger part of the world’s societies. More so; most companies and businesses thrive when youths are placed in the forefront as the chief beneficiaries of their products and services, hence products patronage becomes higher in its scope in activities. The event targets a demographic age value between 18 -55 years encompassing youths and adults. 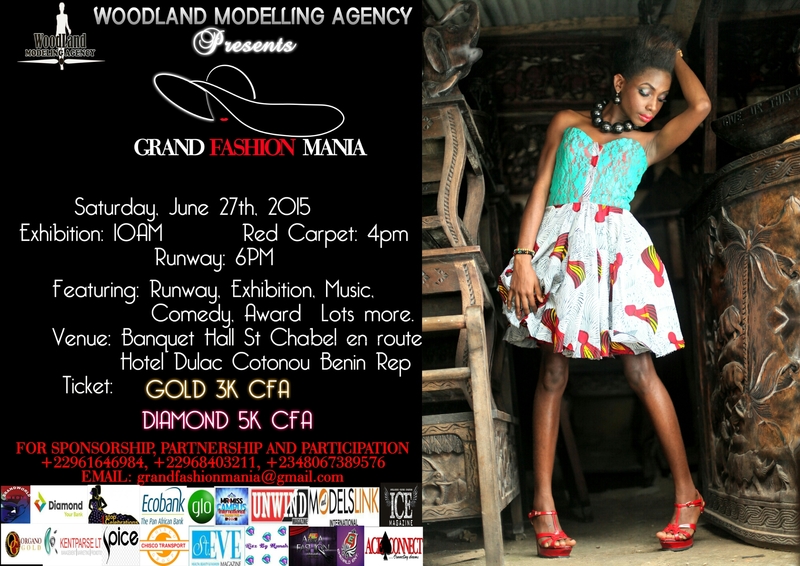 DESIGNERS: Over 15 designers are expected to grace the premier edition of the GFM 2015. Some of the designers expected to hit the runway ESTELLA COUTURE, ADUNNI OGE COUTURE, MY BEAUTIFUL AFRICA, OVEM CLOTHINGS, LOVE AND SAINTS, OSC FASHION SIGNATURES, ISY POSH, KOFFY KOMBS, ABASS COUTURE amongst others. EXHIBITION: Over 30 exhibitors including designers will be on ground for the mini-trade fair and fashion sales/ auctions. The exhibition will take place in a marketable and entertaining environment of St Chabel. A Dj, hype man and lot of dancers, comedians and musicians (entertainers) will be available to entertain the buyers and sellers to maximum satisfaction. HAIR STYLIST/ MAKEUP ARTISTE: Over 10 contracted make – up artistes and hair stylists (LEKESHADES, EKENE MAKE-UP, JENNIES MAKEOVER) etc would also have a feel of the GRAND FASHION as they would not only be involved backstage in making up the models and other casts but will also be given opportunity to be on the runway showcasing their best of make – up and hairstyles. 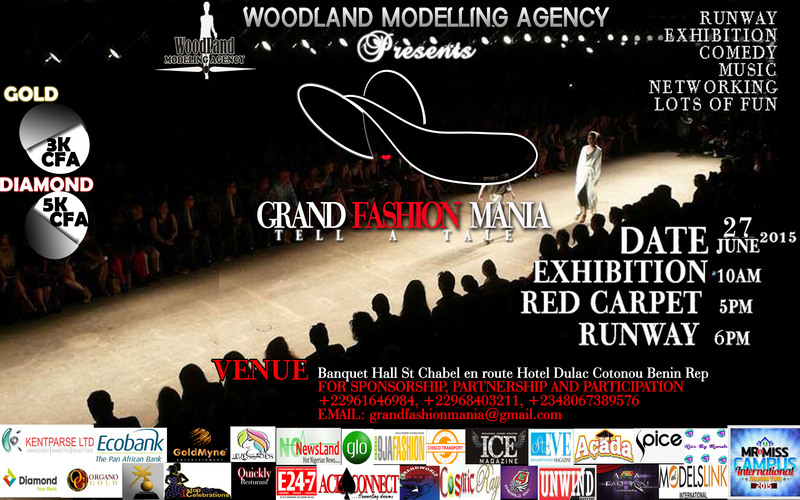 MODELS: Over 25 local and international models would rock the runway of the forthcoming GFM 2015 GRAND FASHION festival. Model casting call had been done and best runway models in the country have been selected for the event. No doubt, GRAND FASHION MANIA 2015 would really project the glitz and glamour of our African/contemporary designs. FOOTBALL MATCH: There will be a football match tagged “KICK OUT DISCRIMINATION AND STIGMATIZATION” (FASHION ICONS VS MEDIA PERSONALITIES) on June 20th. Benin is a hub of multinational individuals. The scope of the match is to sensitize the public on how to outsmart discrimination and stigmatization. It will also be a perfect platform to countdown June 27th Grand Gala.